June 20, 2016 – As Saturn’s northern hemisphere summer approaches, the shadows of the rings creep ever southward across the planet. Here, the ring shadows appear to obscure almost the entire southern hemisphere, while the planet’s north pole and its six-sided jet stream, known as “the hexagon,” are fully illuminated by the sun. When NASA’s Cassini spacecraft arrived at Saturn 12 years ago, the shadows of the rings lay far to the north on the planet. As the mission progressed and seasons turned on the slow-orbiting giant, equinox arrived and the shadows of the rings became a thin line at the equator. This view looks toward the sunlit side of the rings from about 16 degrees above the ring plane. The image was taken in red light with the Cassini spacecraft wide-angle camera on March 19, 2016. 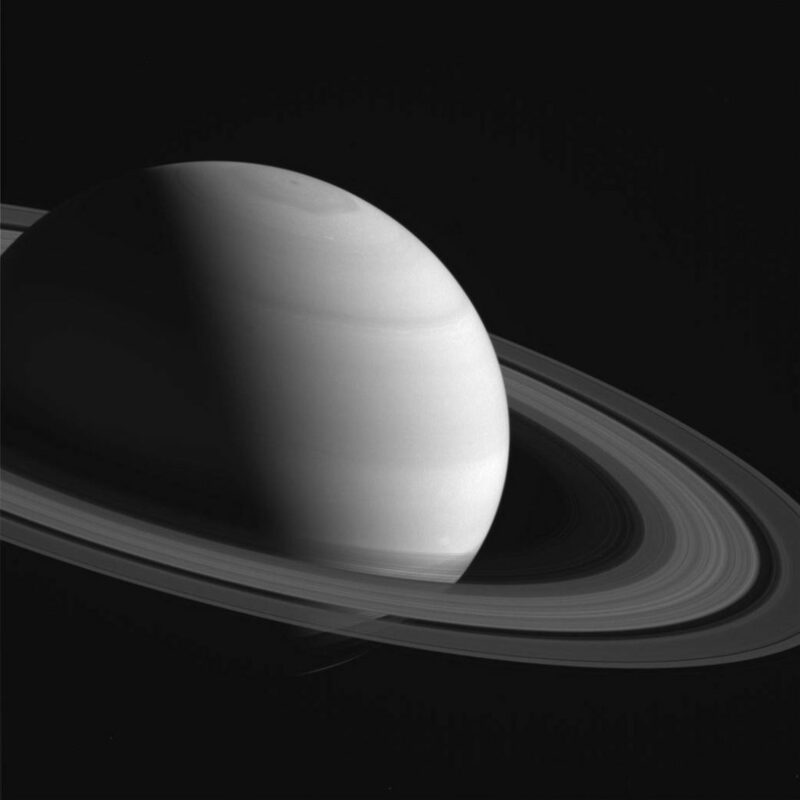 The view was obtained at a distance of approximately 1.7 million miles (2.7 million kilometers) from Saturn and at a Sun-Saturn-spacecraft, or phase, angle of 92 degrees. Image scale is 100 miles (160 kilometers) per pixel.